An interesting mix of 24 simple shop projects,for home, shop, and boat. 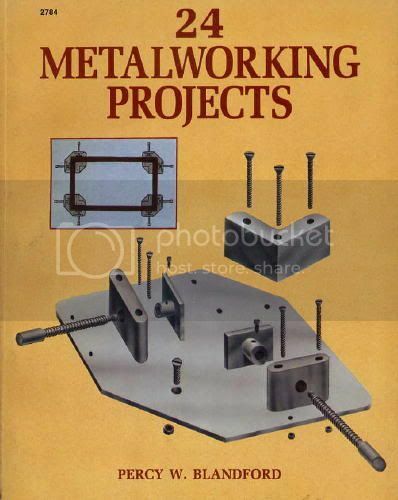 Mr. Blandford has written a number of books on wood working, metalworking and The practical Handbook of Blacksmithing and Metalworking. I think this book was originally done in England. From some of the project titles and the descriptions given. Few B&W photo's lots of line/shop type drawings to go along with the descriptions for the projects. These aren't intended for beginners projects as it is assumed that one has a reasonable level of technical knowledge. This book and the previous one were sold as a set or companion items.